"She was born in a place called Karl Marx City, where she claims she had a happy childhood." Bond/360 has released an official trailer for the documentary Karl Marx City, which premiered at the Toronto and New York Film Festivals last fall. The film follows one of the filmmakers, Petra Epperlein, as she journeys through the former East Germany looking into her father's 1999 suicide. It has been described as a "lean, smart, quick, well-made, and unsparing" documentary. It's both a look into Cold War Germany, along with an investigation into her father's potential connection with the Stasi secret police of the German Democratic Republic. This looks like a fascinating documentary with multiple layers of discussion and examination. I like this trailer because it's so different than most trailers we see nowadays, and that's definitely refreshing. Twenty-five years after the collapse of the German Democratic Republic, New York filmmaker Petra Epperlein returns to her childhood home of Karl Marx City to find the truth about her late father's suicide and his rumored Stasi past. Had he been an informant for the secret police? Was her childhood an elaborate fiction? 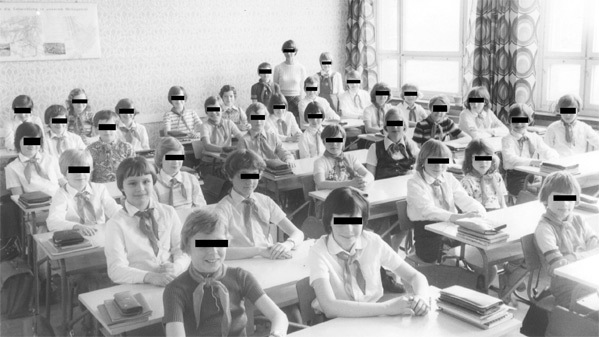 As she looks for answers in the Stasi's extensive archives and from her own family, she pulls back the curtain of her own ostalgia and enters the parallel world of the security state. Making eerie use of Stasi surveillance footage, the film is a Cold War mystery tale and a psycho-political look at how the larger world impacts our individual understanding of love, trust and betrayal. Karl Marx City is co-directed by filmmakers Petra Epperlein & Michael Tucker, of the docs Gunner Palace, Bulletproof Salesman, How to Fold a Flag, and Fightville previously. This premiered at the Toronto & New York Film Festivals last year. Bond/360 will open Karl Marx City in select theaters starting March 29th this spring.